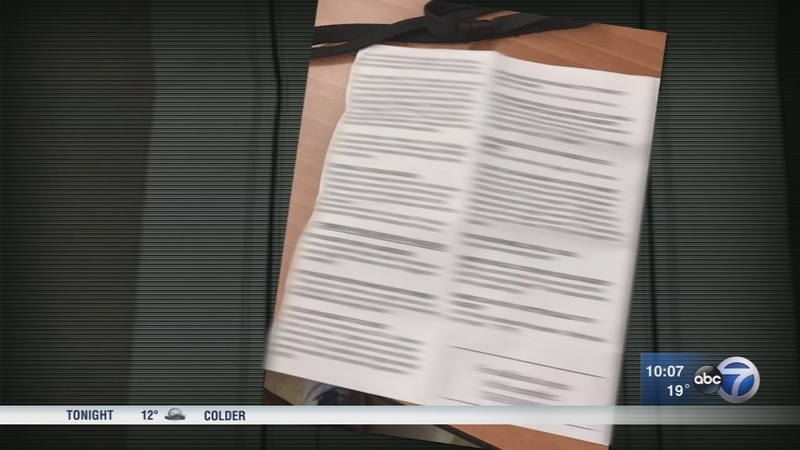 HUNTLEY, Ill. (WLS) -- The Huntley High School student who brought highly offensive racist pamphlets to school, distributed them to classmates and shared them on social media weeks ago will not face criminal charges, the Daily Herald reports. Prosecutors are not filing charges because the student is protected under the first amendment. The school district has not said if or how it plans to discipline the student. The pamphlet, which appeared to have been downloaded from the internet, featured the n-word in almost every other sentence of the pamphlet. "I was shocked. I never, really did not think someone would have the confidence to bring that type of thing to our school," said student Dubem Anikamadu. Anikamadu said he and a group of black students reported the racist materal to school administrators after copies of the pamphlet were posted on several lockers throughout Huntley High. In a letter to parents, Huntley Principal Scott Rowe said, "These types of messages cause real pain and harm. They are unacceptable here. It is a reminder to us that we must not forget our past, and that we must continue to work everyday to fight the history of racism that continues to stain our society."